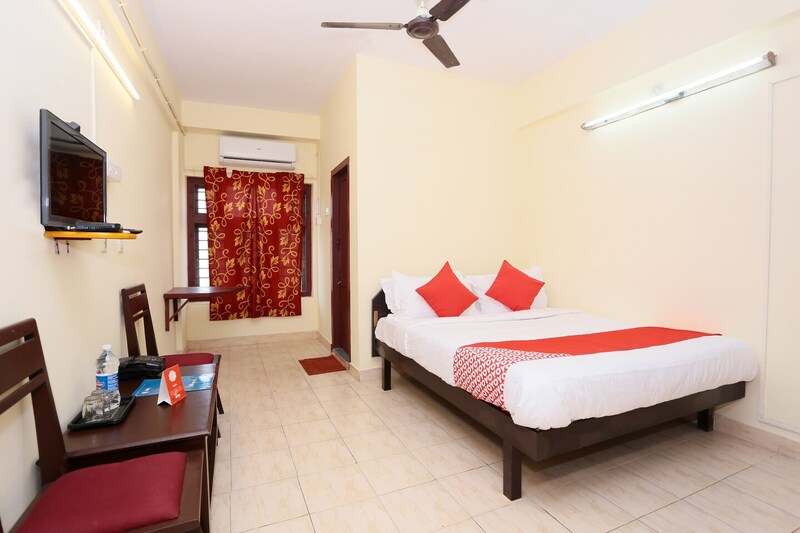 Gamas Centre is centrally located in Trivandrum and offers comfortable living at an affordable price. The cozy rooms with a pinkish hue wall colour are bright, compact and well furnished to offer a pleasant stay. Window in the room offers good ventilation which makes the place comfortable and airy. modern furnishings in the room are kept at a minimum which makes the place spacious. modern amenities such as free wifi, power backup and card payment service are also available for guests. CCTV cameras ensure the safety of guests. With a convenient location, guests can visit Sree Padmanabhaswamy Temple and the Thiruvananthapuram zoo which is Indias oldest zoo with much ease.